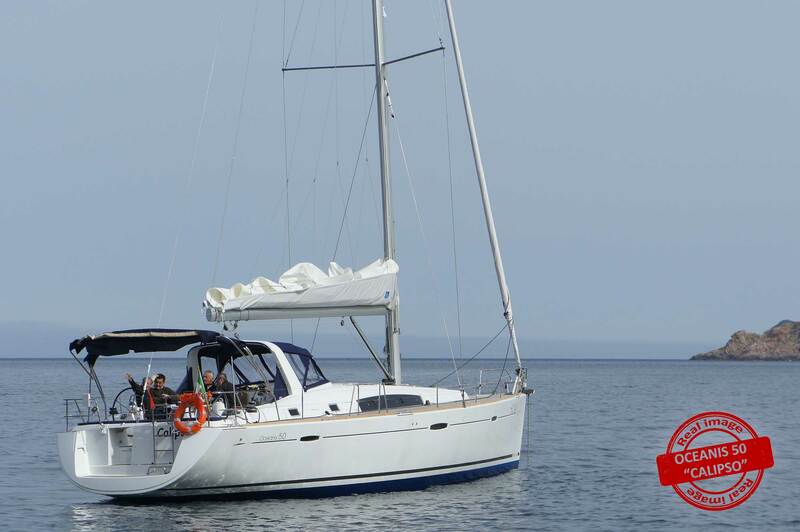 Escape, relax, discover and become beguiled by this magnificent. Designed by Berret/Racoupeau in collaboration with Nauta Design. 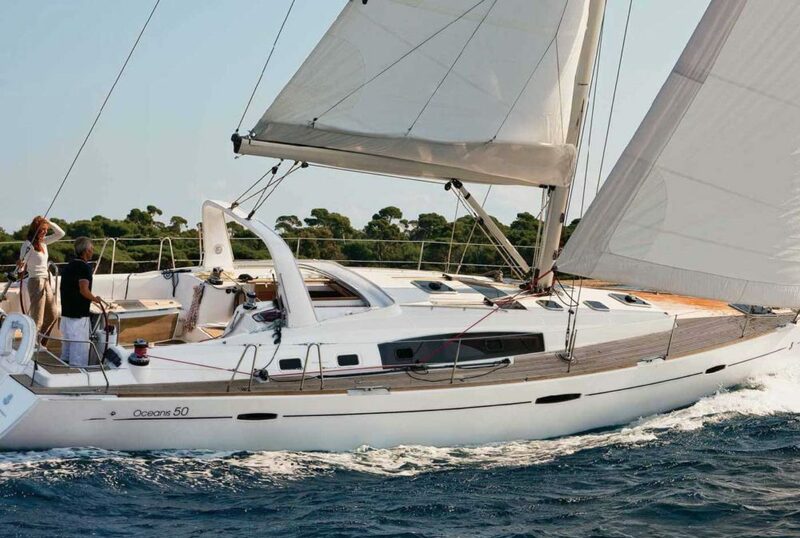 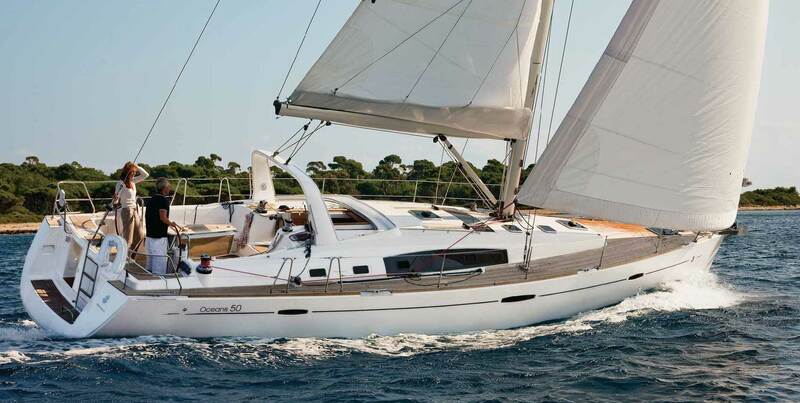 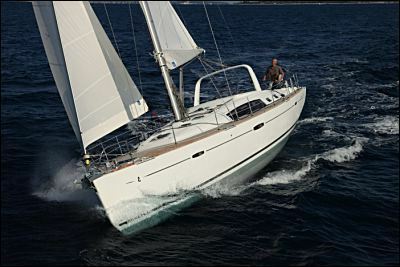 the Beneteau 50 combines striking lines and smart. 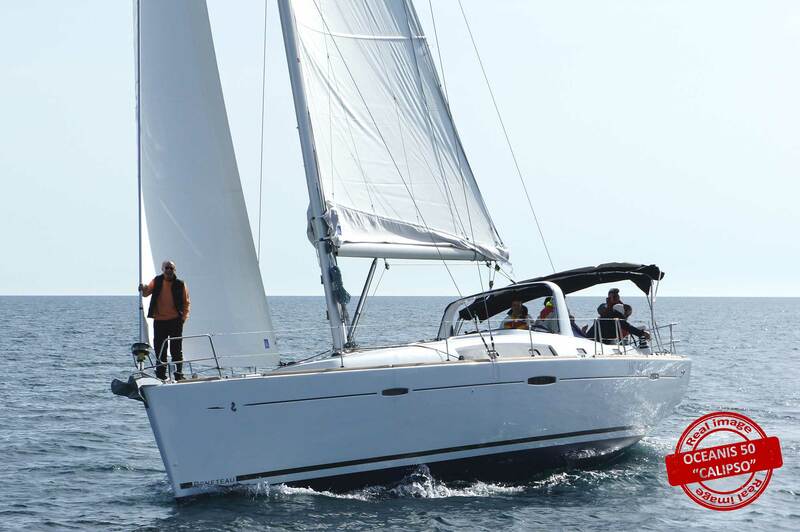 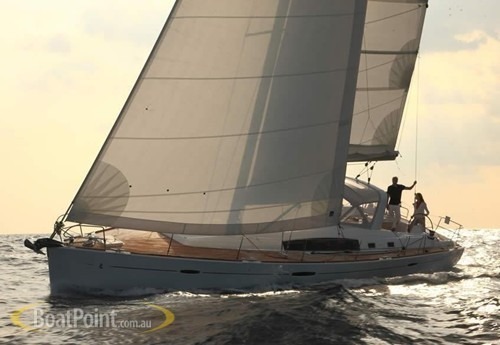 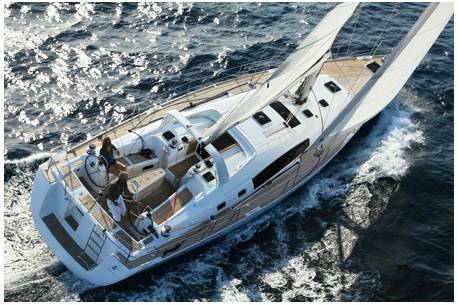 sleek styling with incomparable Beneteau realibility, performance and comfort. 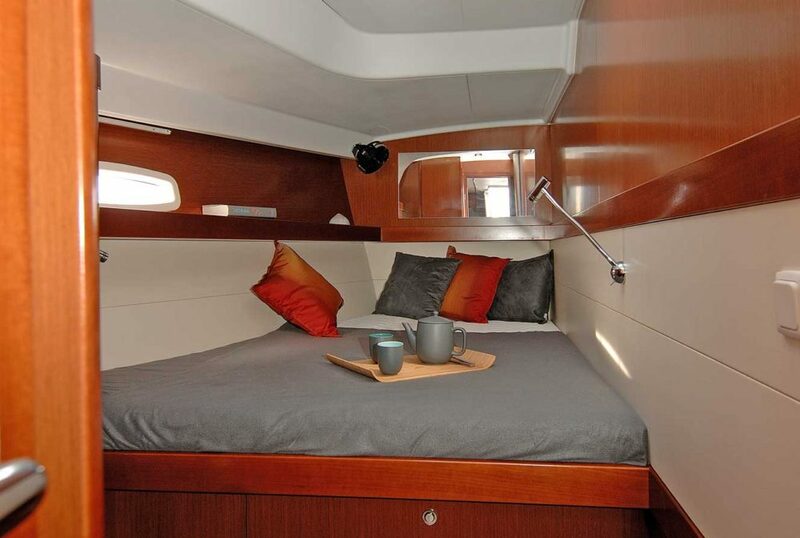 At sea and in port-this ocean-going cruiser delivers adapatability and range that have been the principle criteria driving the creation of this exciting yacht. 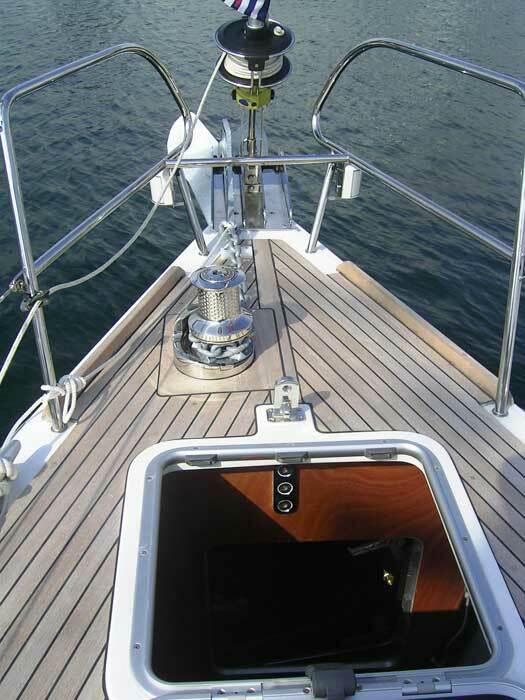 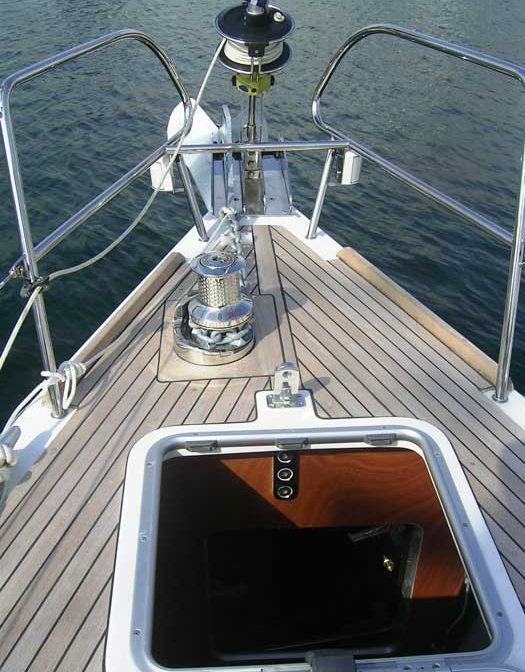 The focal point for the Beneteau Oceanis 50 is the sweeping fixed arch just forward of the cockpit. 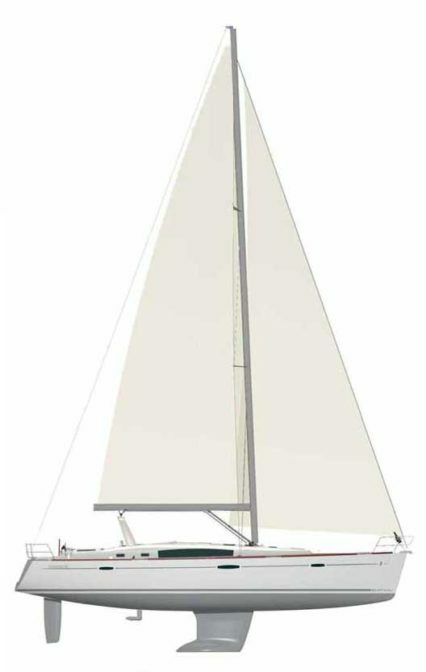 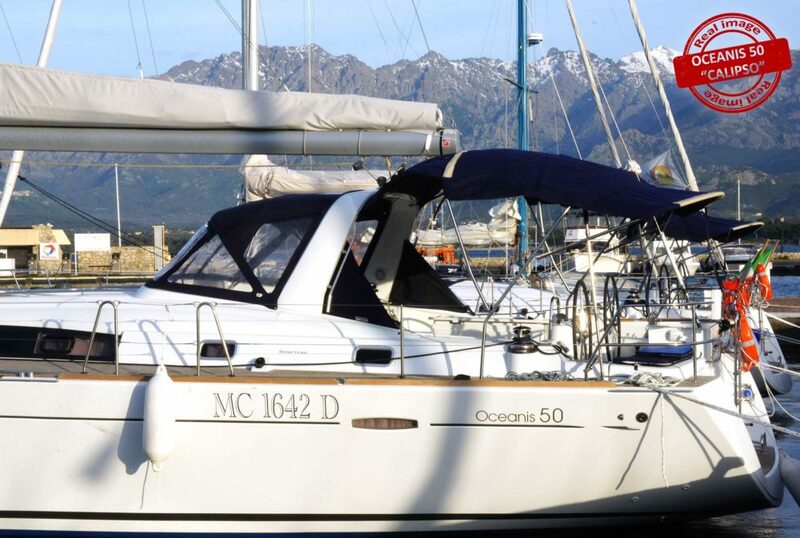 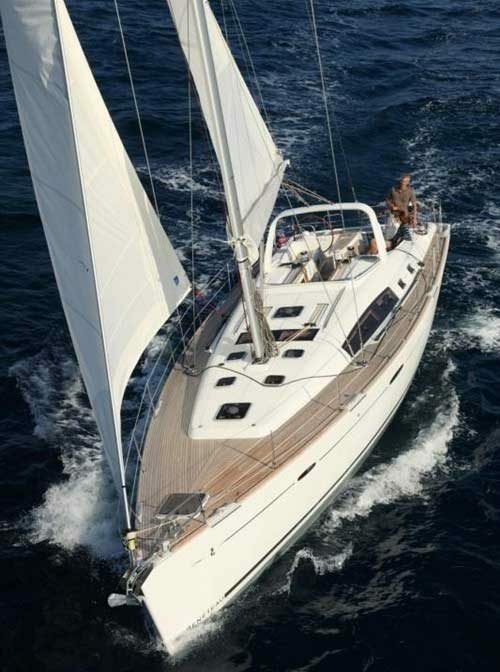 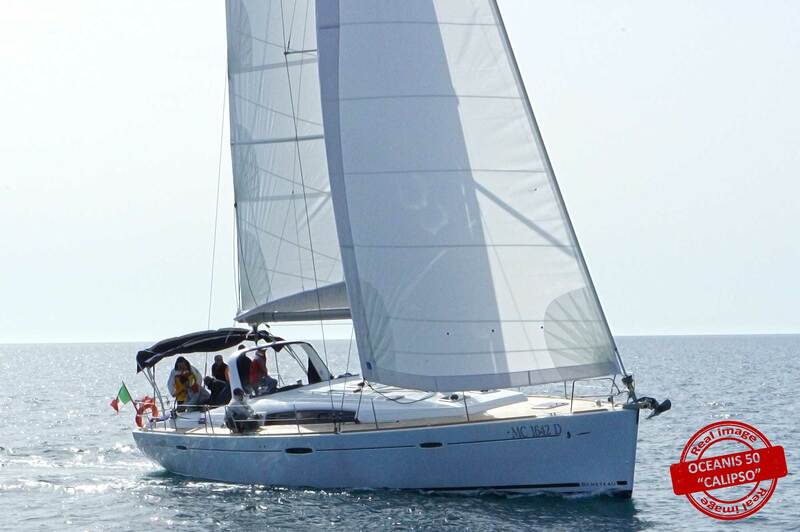 Stylish and contemporary in appearance, the arch is also strong and useful, providing a solid framework for a dodger and a bimini, as well as the fixed point for the mainsheet block and tackle that’s rigged conveniently nearby at the end of the boom. 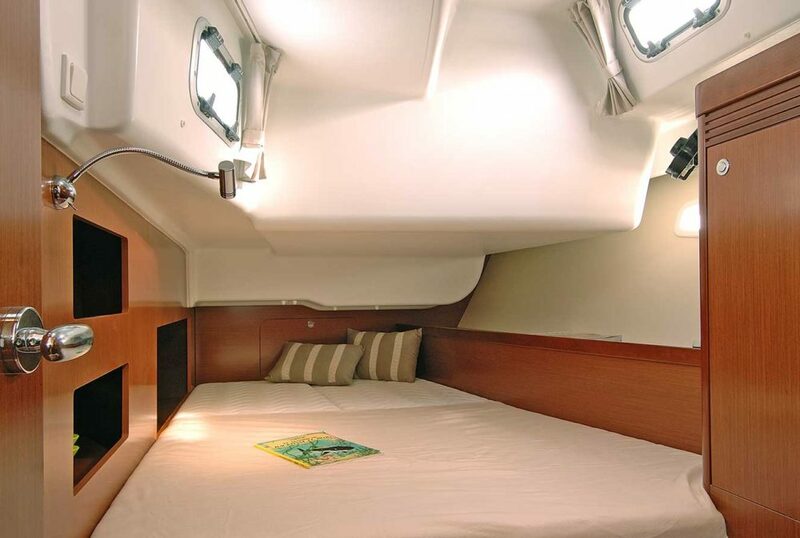 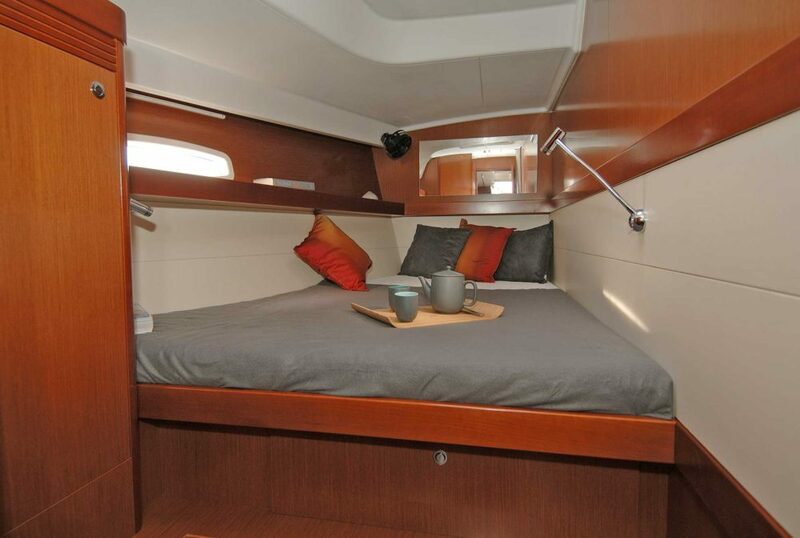 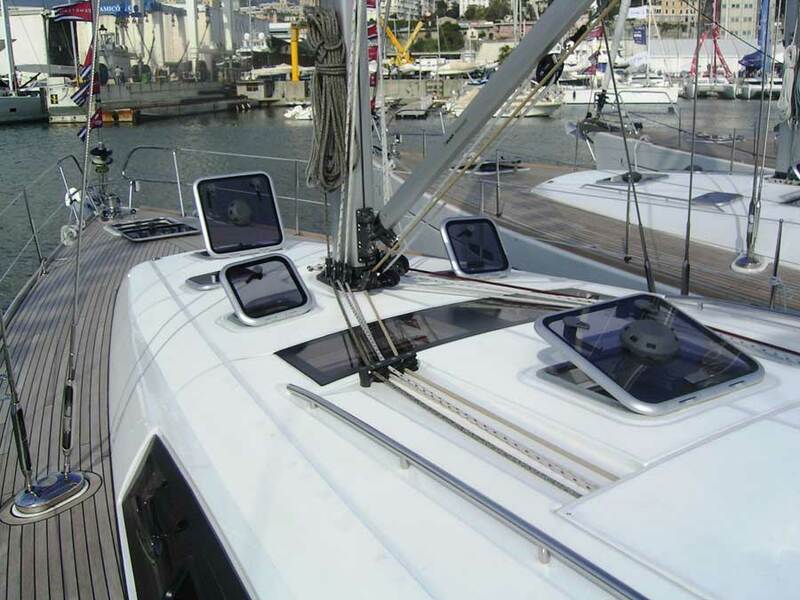 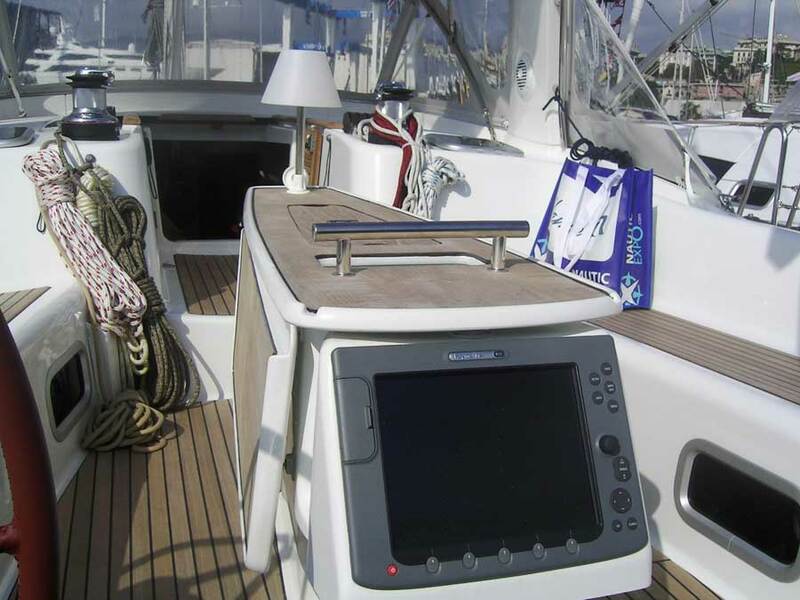 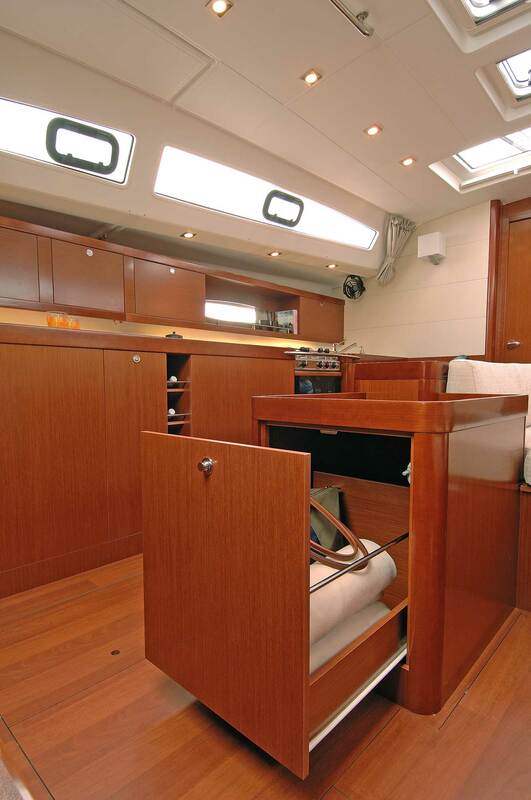 This innovative solution enabled Beneteau designers to create wide and effective spacious companionway and cockpit below it. 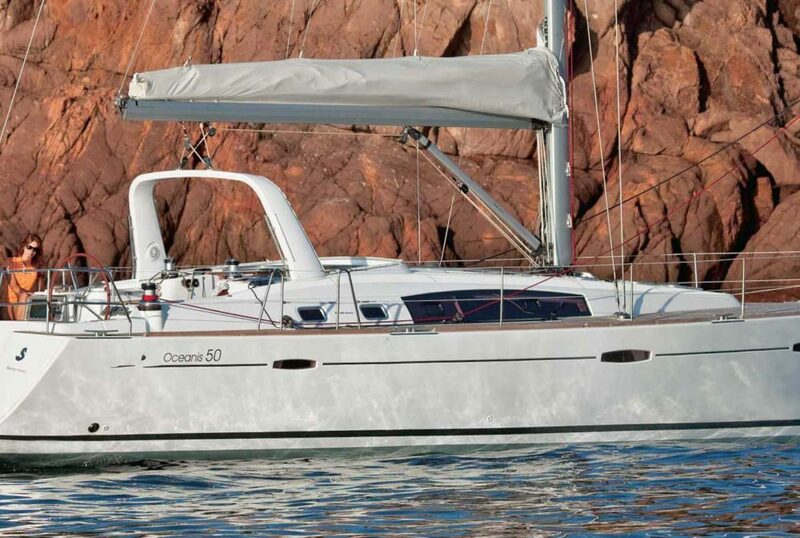 Crew will enjoy his cruise! 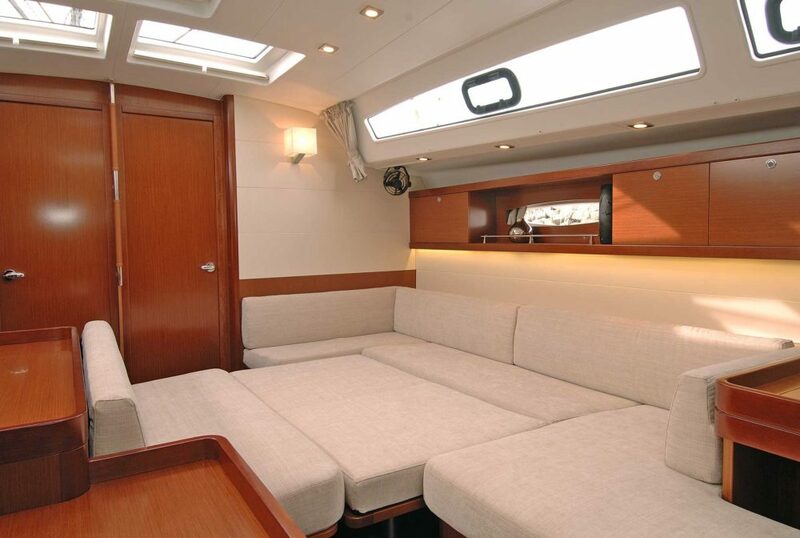 The deck appears very clean and offers plenty of sunbathing and moving area thanks to low-profile deckhouse equipped with elegant windows which contribute to Beneteau Oceanis 50 Family’s modern look. 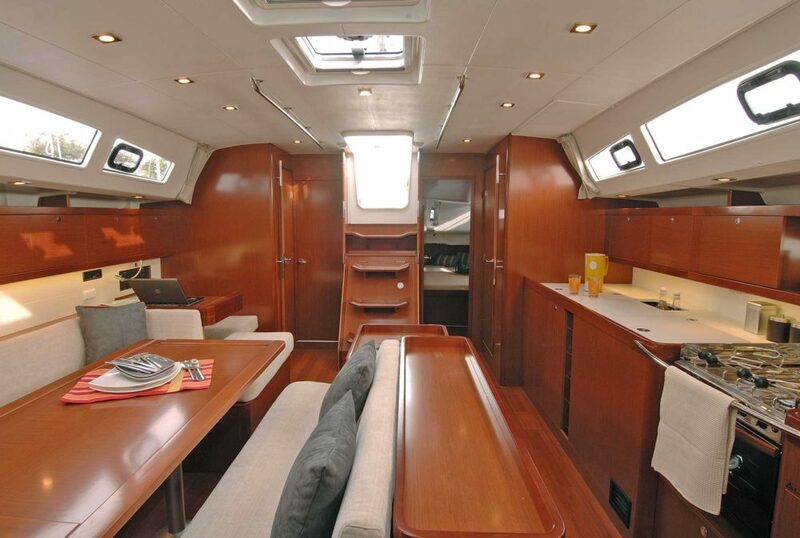 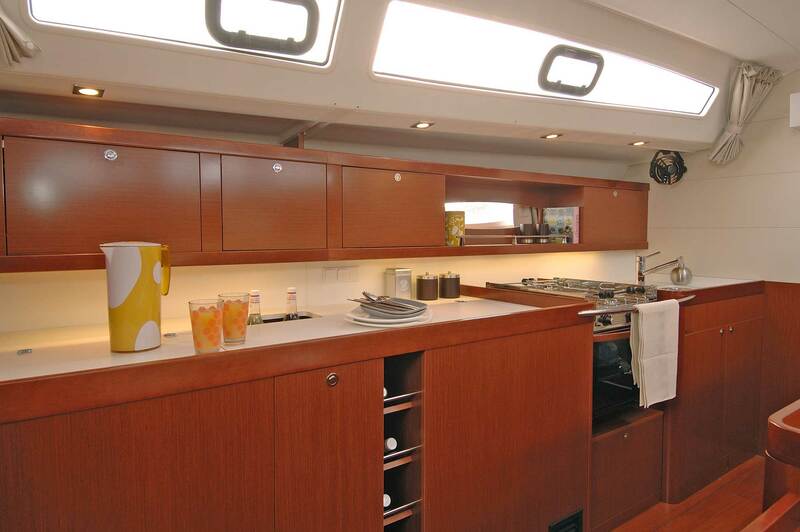 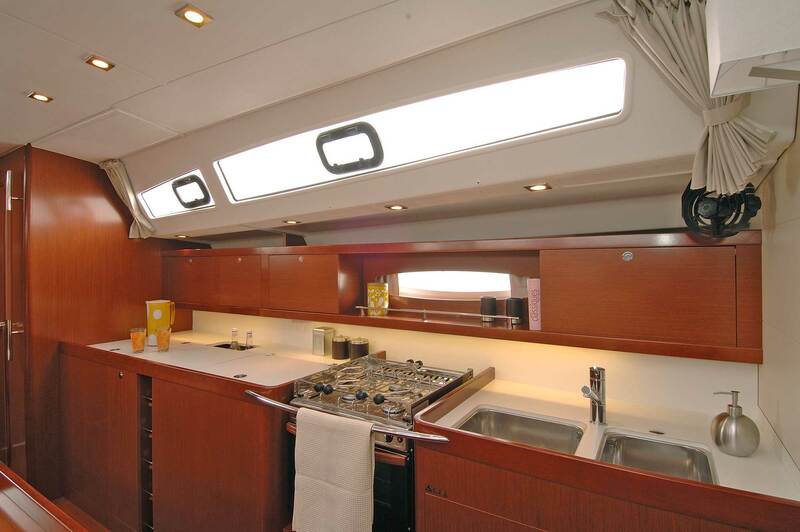 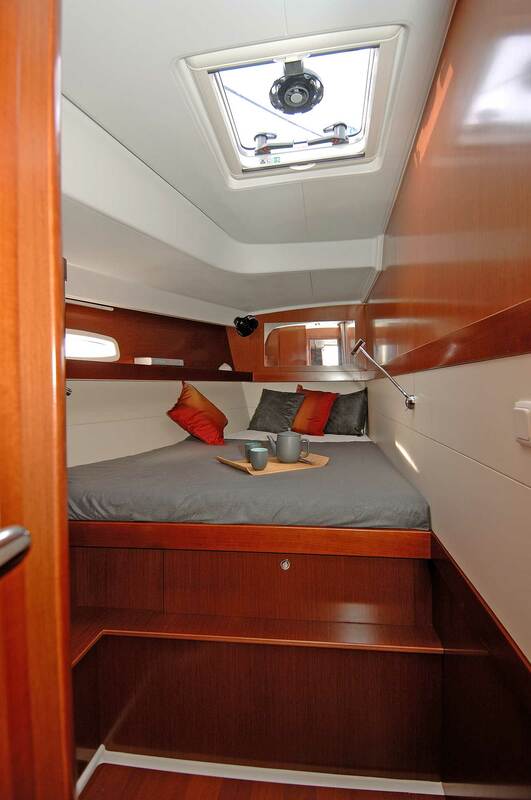 Although saloon windows are rather low there is plenty of natural light and ventilation inside the yacht. 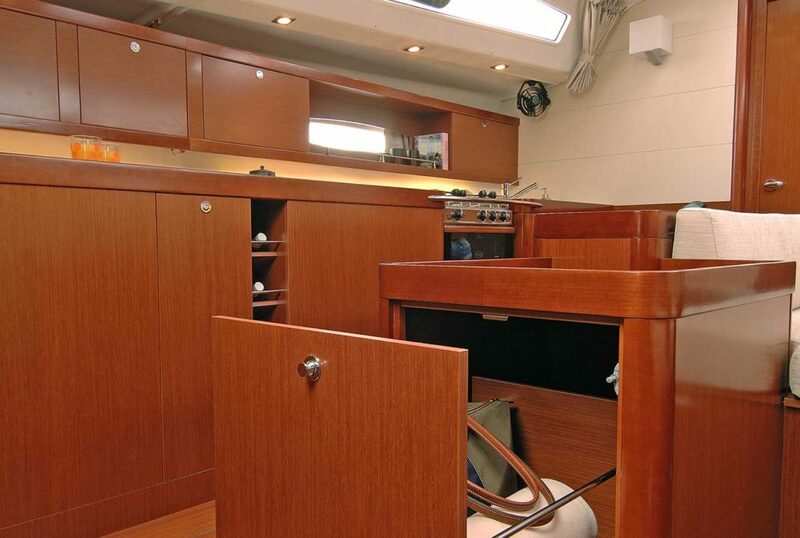 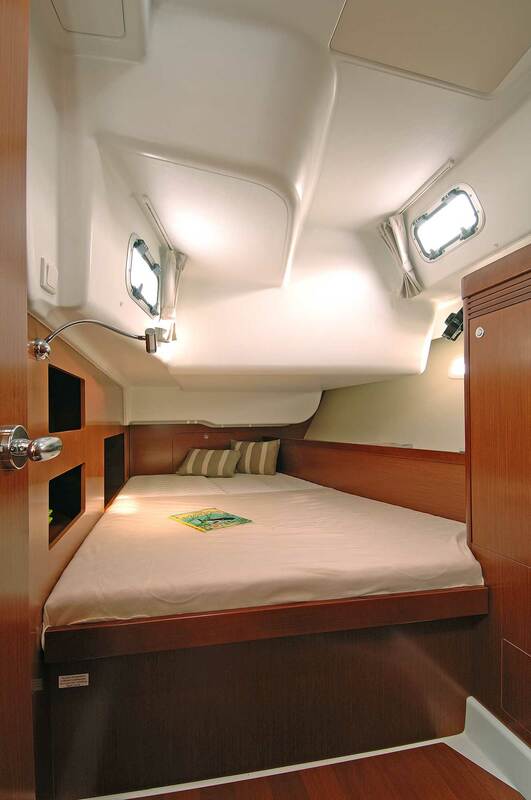 Massive forward sail locker provides enough space to store fenders, swimming equipment and all ‘summer toys’ you can immagine.